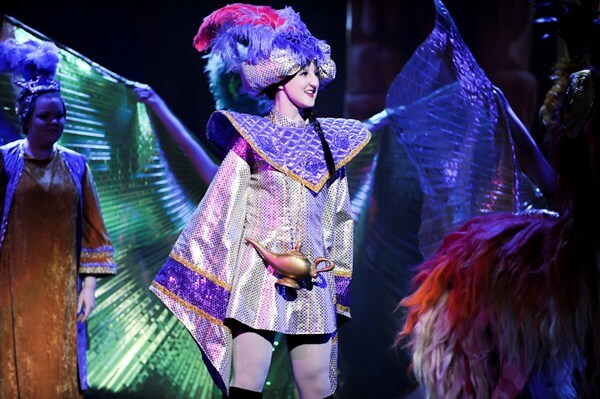 Molly Limpet's are UK pantomime costume specialists, supplying our stunning creations to both amateur and professional theatre productions of all sizes across the UK and Ireland. 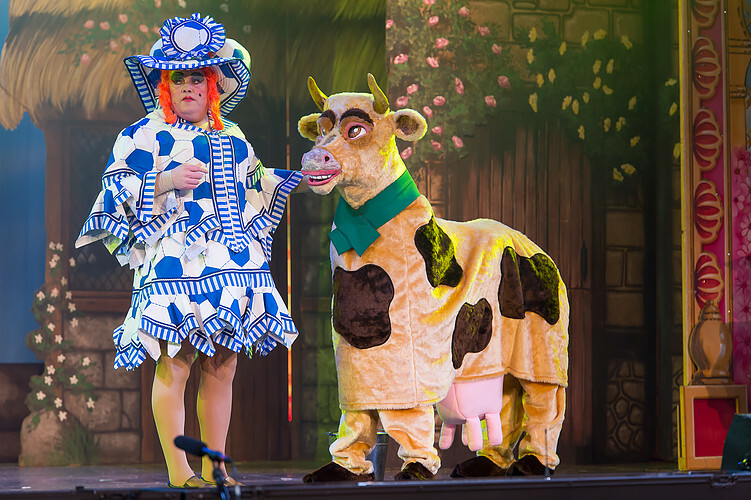 Since 2001, we have continued to grow our unique Pantomime costume collection, encompassing principal and chorus worker and finale options, almost 1000 pantomime dame costumes (as of spring 2019), bespoke footwear, and specialist panto costumes such as two-man cows/camels/horses, giants, donkeys, forest animals, pandas, parrots, dancers, showgirls and much more. 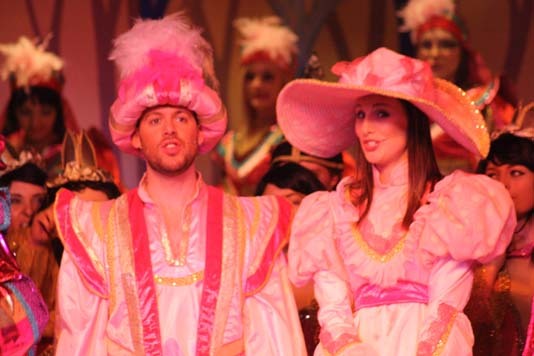 In addition to making your principals look stunning, we have beautiful chorus costumes so that the whole stage is awash with colour and sparkle. 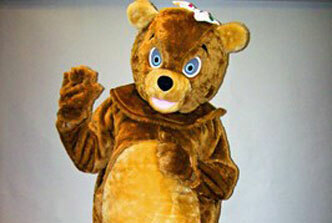 We can supply anything from a single costume to hundreds for any company, so please enquire if you'd like a quote for your costume hire requirements. 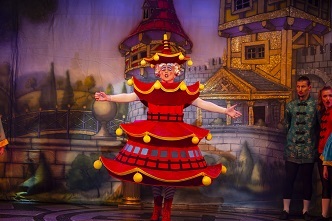 Unless you've visited our Studio for an appointment, a Costume Workshop or one of our Panto Dame Costume Exhibitions, it's impossible to comprehend the range of what we are able to offer our clients, and with a Panto Dame heading our Studio team you can be assured that we are always here with the most innovative designs and ideas. 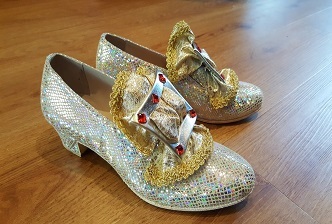 Our two Instagram accounts (@mollylimpets ​and @pantodames_uk) show a lot of what goes on behind the scenes in our private Costume Studio. 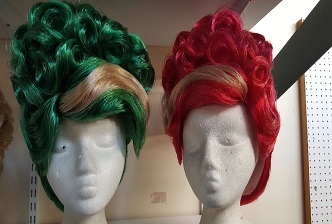 We also now carry structured 'hard' wigs produced by David Birt, of Wig Art Theatrical, that are available for hire with costumes - see here ​for more photos of what we have to offer. 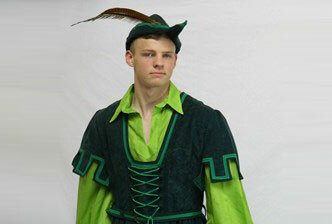 In addition to costume hire, we offer a full Design and Manufacture Service for those clients wanting to have costumes made for purchase. 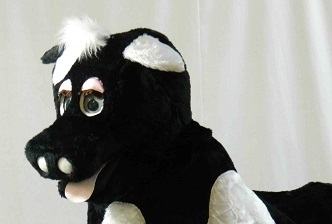 Contact us if you'd like to make an appointment to visit to discuss this. 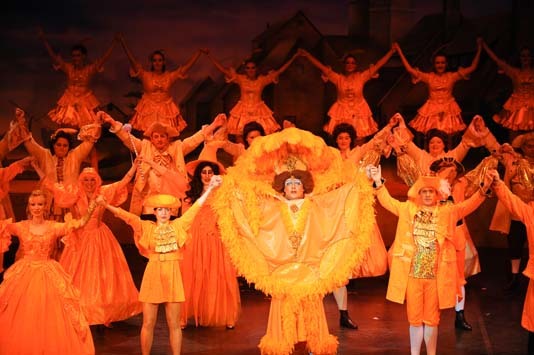 Molly Limpet's is also proud to be one of the main sponsors for the Great British Panto Awards, with our support for the Best Ugly Sisters Category in 2018 and 2019. 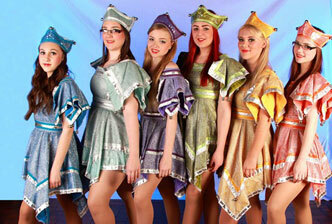 Get tickets here for this year's award show at New Wimbledon Theatre, London. 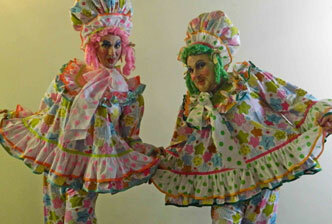 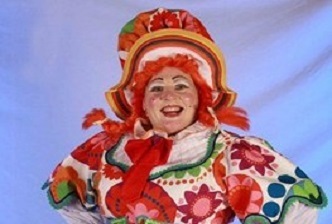 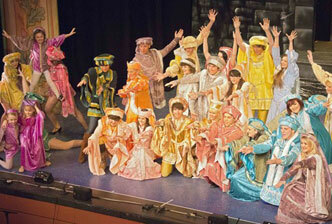 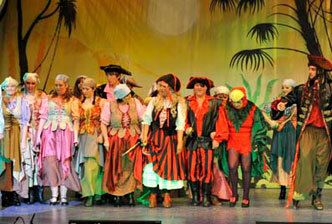 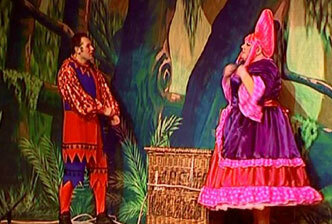 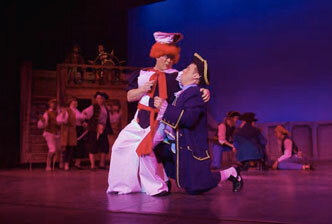 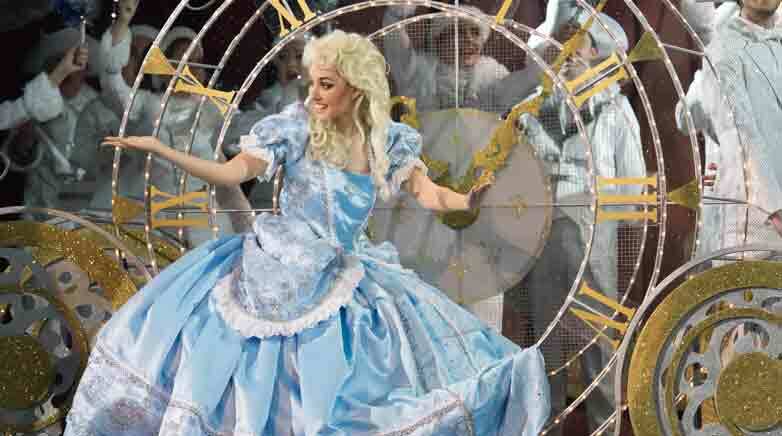 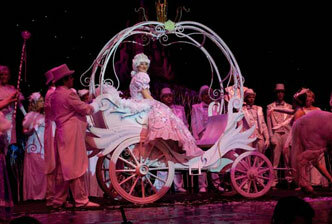 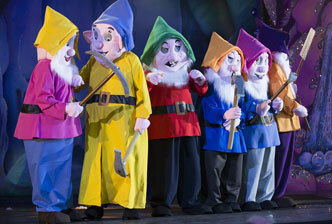 Many of our customers use the popular panto scripts of Ben Crocker Pantomimes. 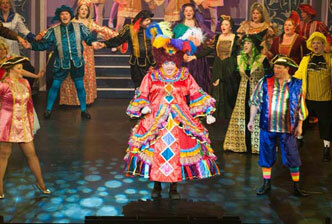 Look no further than IT'S-BEHIND-YOU.com and PANTOARCHIVE.com for all things Panto ! 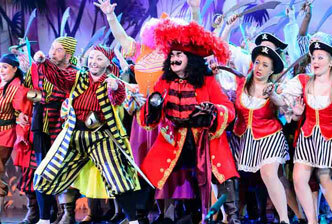 Or follow Simon Sladen on Twitter to keep up to date on all pro-panto listings as they go live!